Cotahuasi Canyon in Peru stands as a potent reminder of the tremendous erosive power of water and ice. Cutting through a towering plateau—a product of repeated volcanic eruptions and tectonic uplift—the canyon is one of the deepest in the world. 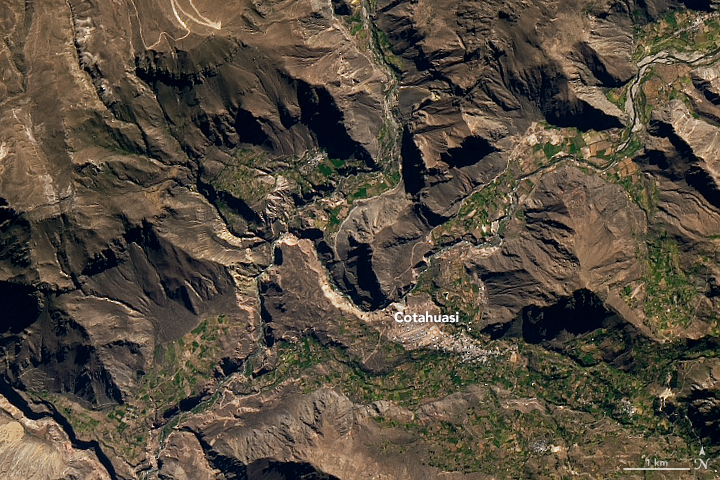 Cotahuasi formed over the course of several million years as rivers and glaciers chiseled into the plateau. The relief from the canyon floor to the rim ranges from 2.5 to 3.5 kilometers (1.5 to 2.2 miles), making Cotahuasi Canyon about twice as deep as the Grand Canyon. 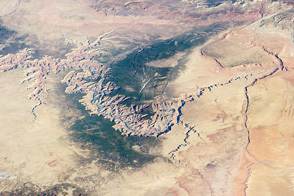 On June 3, 2016, the Operational Land Imager (OLI) on Landsat 8 passed over the canyon. 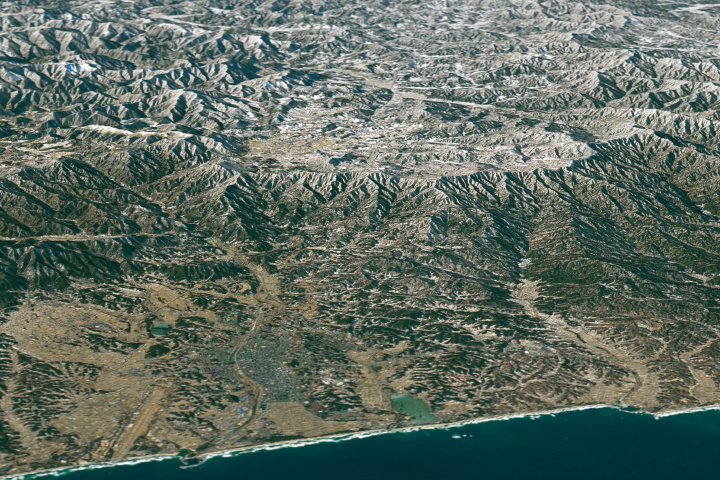 The top image shows Landsat data draped over topographic data from NASA’s Shuttle Radar Topography Mission (SRTM). 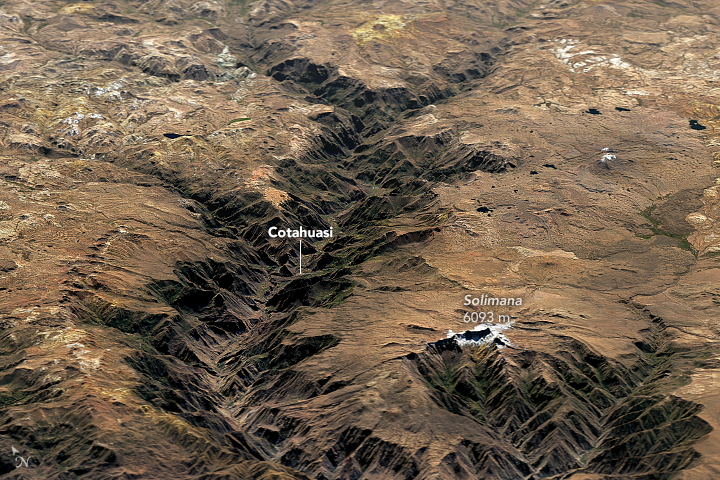 The second image is a nadir (straight down) view from OLI of the area near the town of Cotahuasi. 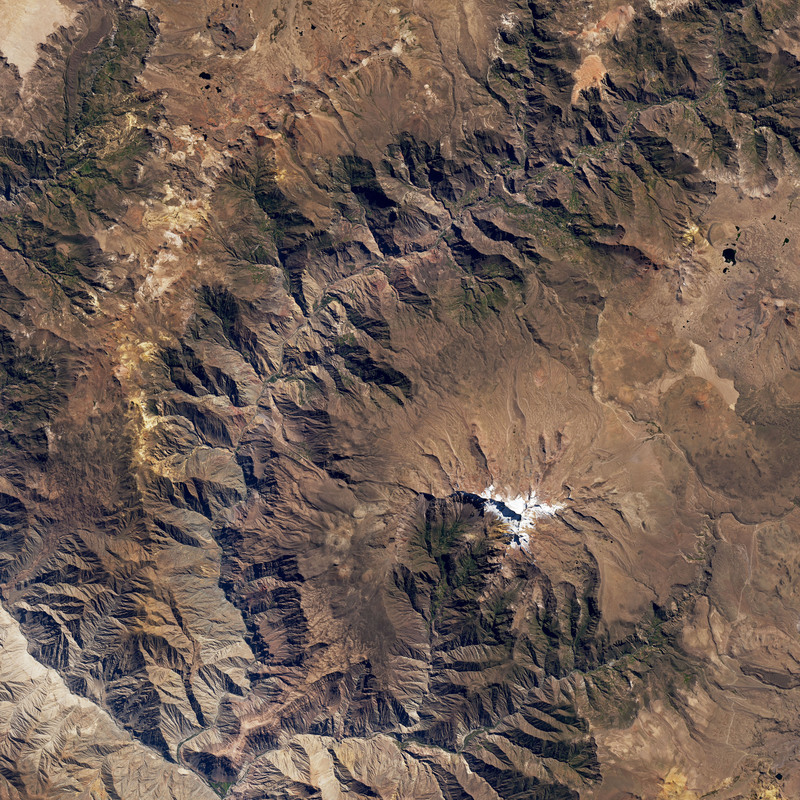 Evidence of volcanic activity surrounds the canyon. To the south, snow-capped Solimana, an inactive stratovolcano that last erupted about 500,000 years ago, soars above the plateau. Colorful yellow and orange volcanic deposits are visible around the north rim of the canyon. The image underscores the stark transitions in environmental conditions and vertical ecology of the canyon. The base (elevation 1200–2300 meters) is a warm, lowland zone where fruits, especially grapes, are widely grown. Higher up (2300–3600 meters), the dominant crop is maize. Farmers also raise more traditional crops such as kiwicha, quinoa, and tarwi. Potatoes and other tuber crops are grown in the cooler, upland areas (3600–4000 meters). 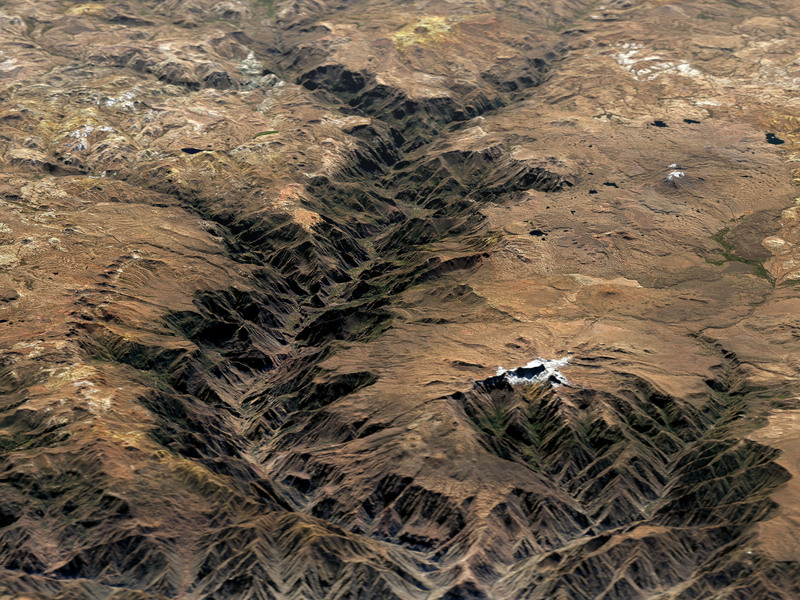 Not much can be grown in the arid, cold climate (4000–5000 meters) at the top of the plateau, but farmers use the land to raise alpacas, llamas, sheep, and cattle. The canyon is so remote—it’s a 12-hour bus ride to Arequipa—that relatively few outsiders make it there. Archaeologists and geologists occasionally visit to catalog Incan and pre-Incan archaeological sites or to piece together the geological history of the area. Some adventurous travelers come to the canyon to raft and hike, but the Cotahuasi River’s many rapids are known for being extremely dangerous. A river in Peru has sculpted one of the deepest canyons in the world. Archaeology (2003) Ruins on the Rapids. Accessed February 6, 2018. Atlas Obscura Cotahuasi Canyon. Accessed February 6, 2018. Ithaca College (2004) Exploring the World’s Deepest Canyon. Accessed February 6, 2018. Jennings, J. 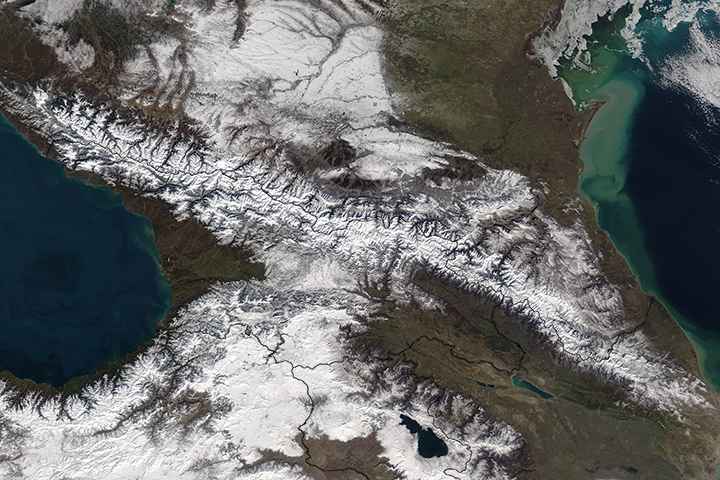 (2015) The Cotahuasi Valley during the Middle Horizon. Accessed February 6, 2018. Thouret, J.C. et al., (2007) Geochronologic and stratigraphic constraints on canyon incision and Miocene uplift of the Central Andes in Peru. Earth and Planetary Sciences, 262 (3-4), 151-166. Thouret, J.C. et al., (2017) A 25 myr chronostratigraphy of ignimbrites in south Peru: implications for the volcanic history of the Central Andes. Journal of the Geological Society, 173, 734-756.